Esther was rescued from Spindle Farm in Amersham when she was just two months old. Over 100 horses, ponies and donkeys were found living in appalling conditions and sadly some had already passed away. Esther’s mum Martha was so thin that she couldn’t even produce enough milk to feed her baby daughter. 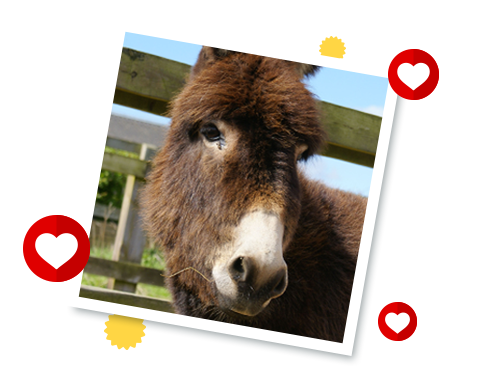 Since coming to Redwings they have both made a full recovery and are two delightful donkeys! Esther will always be a little bit shy after her experiences but she absolutely loves a cuddle! Esther lives at Redwings Caldecott, near Great Yarmouth, in Norfolk.